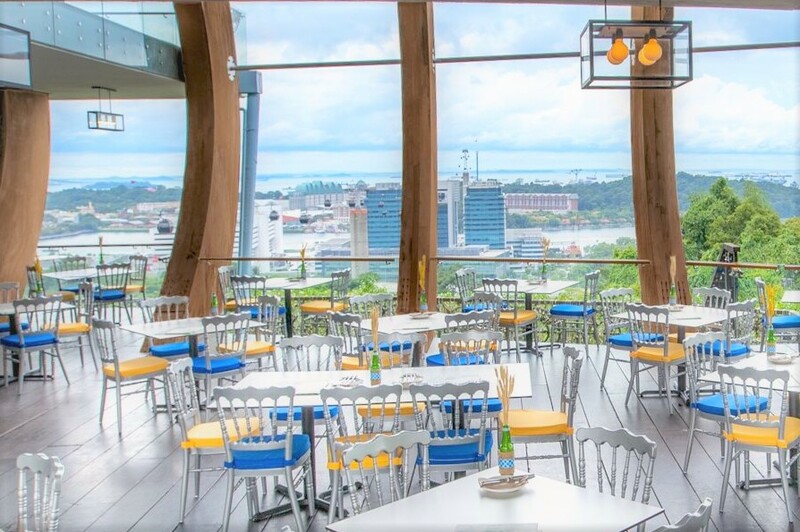 Literally the restaurant with a view, an escape from the city, and the place to experience hilltop dining with friends and family. 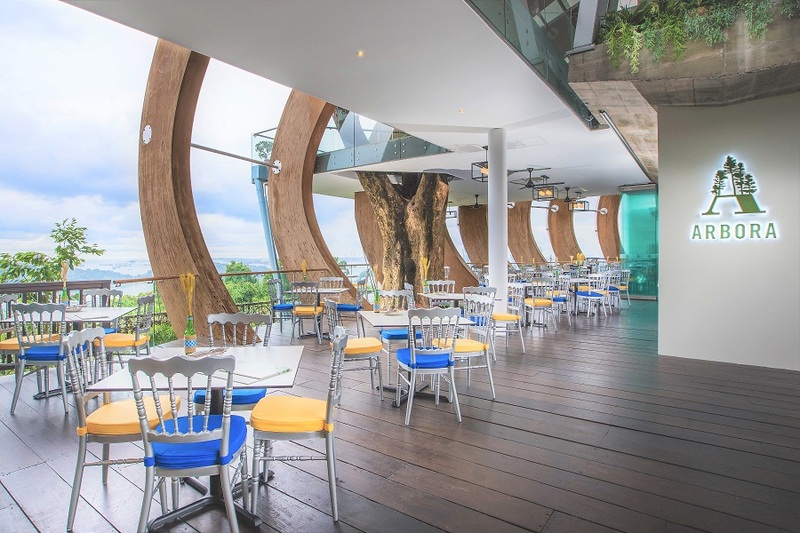 Because Arbora is literally perched atop a hill at Faber Peak Singapore, 100m above sea level, with stunning views of Sentosa Island and the harbour. Arbora is a NEW casual dining restaurant under One Faber Group (you may know the restaurant it by its former name Spuds & Aprons), serving classic Western fare, refreshing cocktails and botanical-inspired beverages. 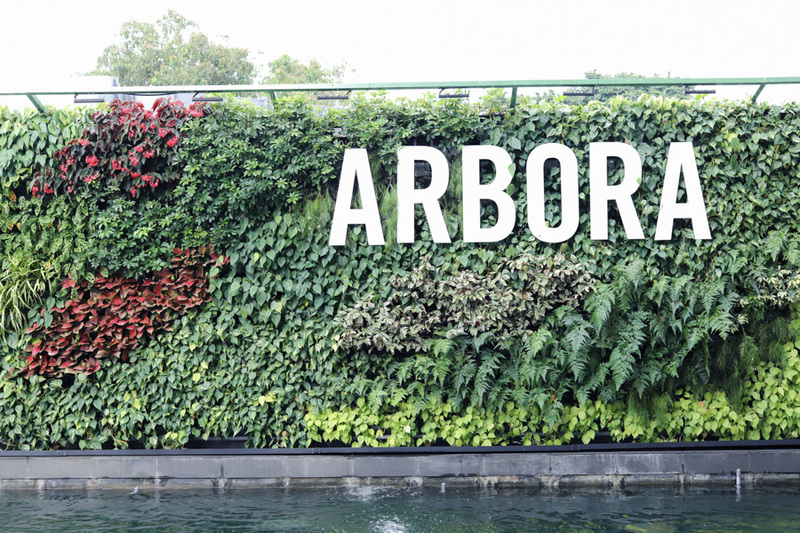 “Arbora” is actually derived from the Latin word “Arbor”, which refers to trees. 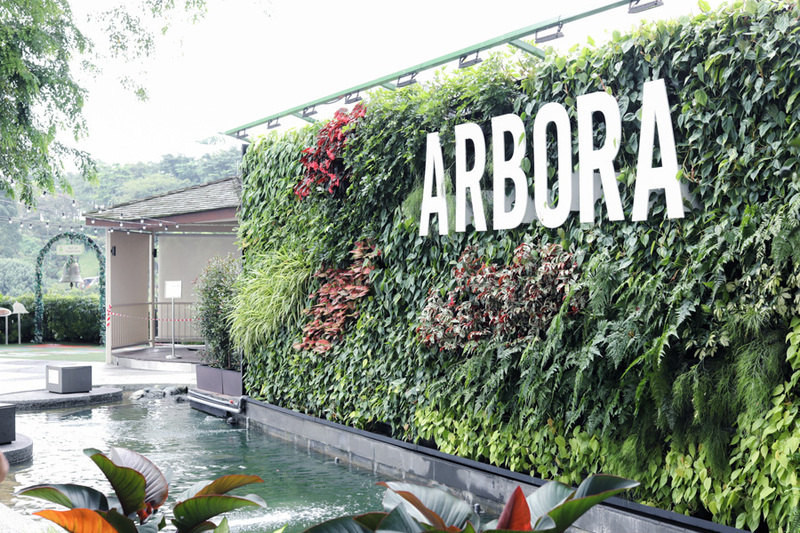 The name is inspired by its unique location, surrounded by Mount Faber Park, a sprawling 40-hectare area of verdant trees and lush rainforest. 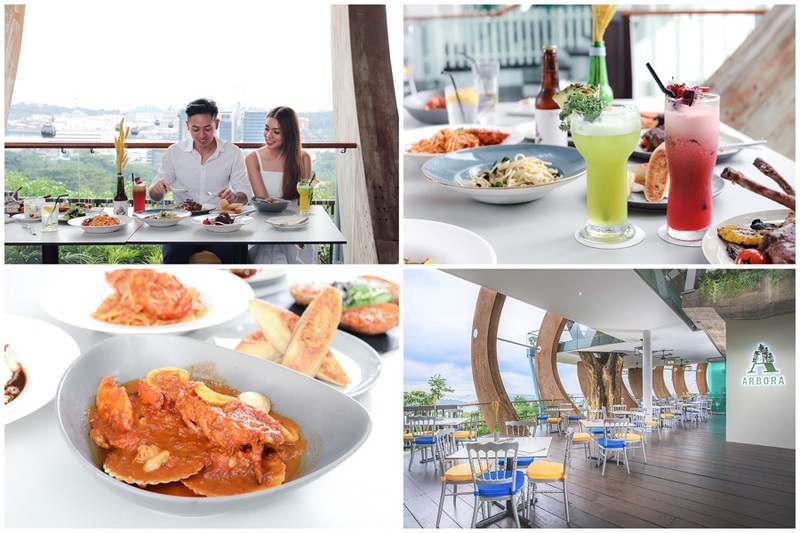 This is one of the few places in Singapore where you can dine with family or a date and be surrounded by nature. 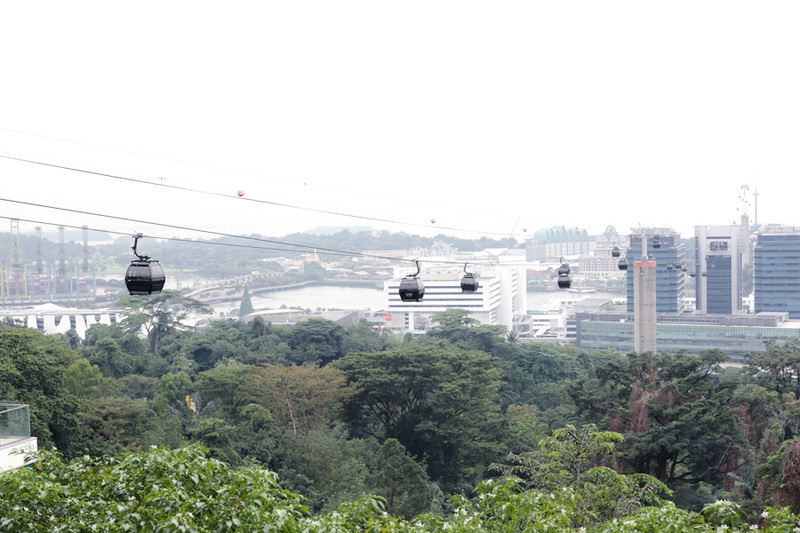 You can also get there via Singapore Cable Car from Harbourfront Tower 2 – just 7 minutes walk from Harbourfront MRT. 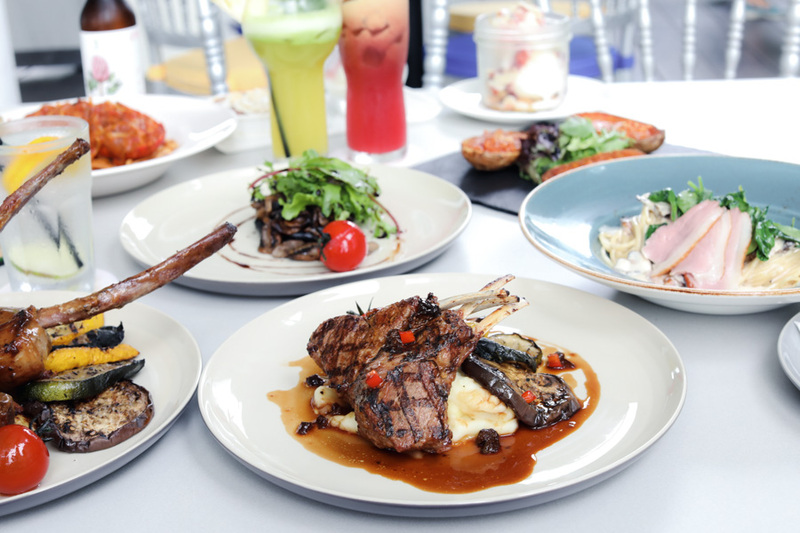 In terms of food, Arbora’s 40-item all-day dining menu offers 17 mains, 4 salads, 10 snacks, 4 kids’ options, and 5 desserts. Prices are considered value-for-money, starting at $18 for the mains, and $8.50 for snacks. 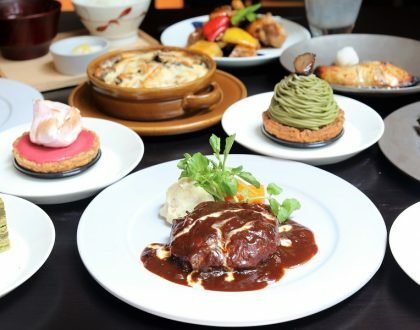 Aside from the a la carte menu, it offers value set meals for 2, 4, and 6 persons ($75, $140, and $200) including mains, snacks, and desserts. 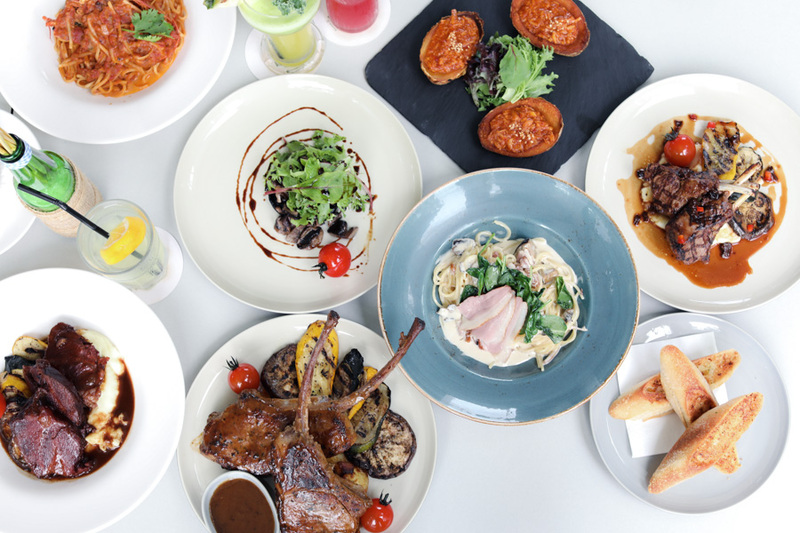 Behind all the dishes is its creator Executive Chef Kenny Yeo, a local master chef with more than 30 years of culinary experience. He had worked at Le Centenaire (a Michelin-starred hotel-restaurant in France) and at the French kitchen of JQ Concepts Pte Ltd in Taipei. Arbora’s sister restaurant & bar, Dusk, has its European tapas menu inspired by him. 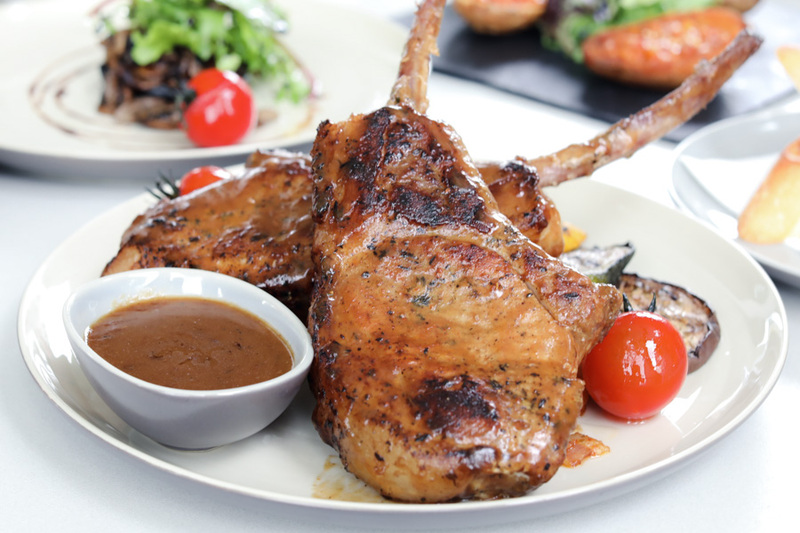 A premium item in the menu, these charcoal-grilled lamb chops are sourced from Australia. Chef Kenny has a knack for adding something unusual and unexpected to his recipe. Instead of mint jelly as a sauce for the lamb, he uses prune juice mixed with bell pepper and lemon. The black prunes are soaked overnight in red wine, then mashed to a chunky pulp. 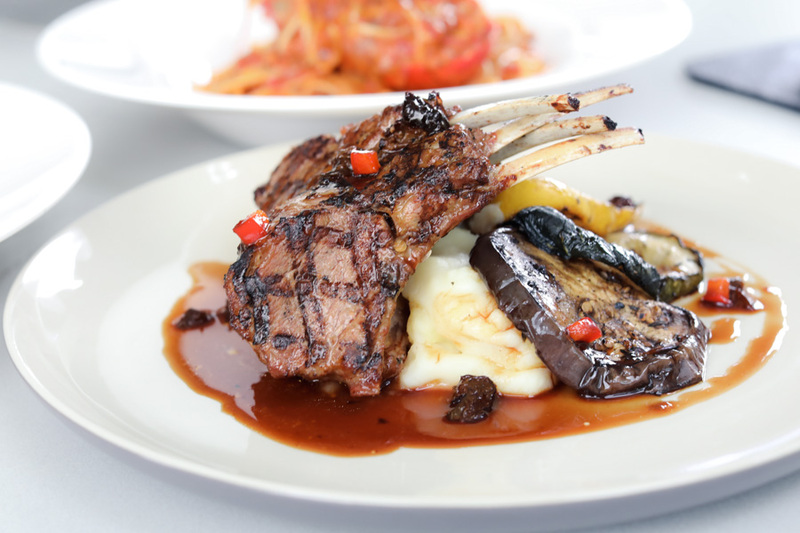 The sweet-sour-fruity flavour of the prunes enhances the deep, intense flavour of the lamb. Served with seasonal vegetables and mashed potato on the side. 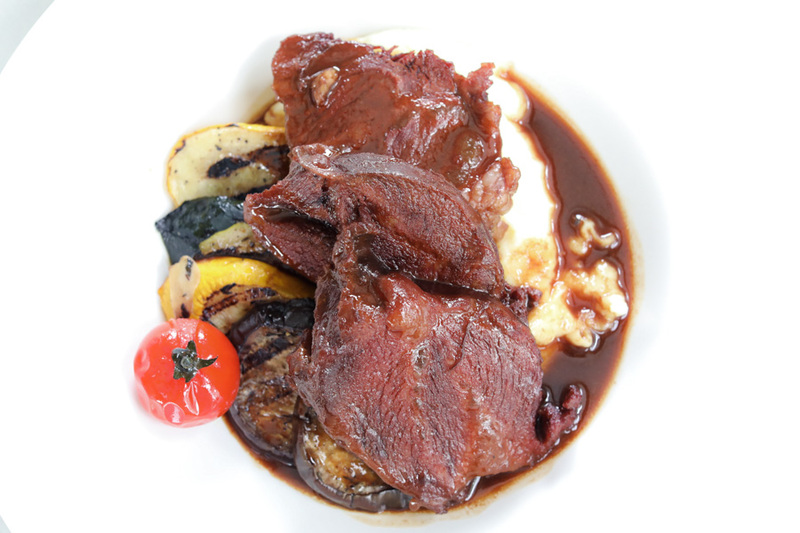 In this beef dish, the cheek is marinated for at least eight hours in Port wine to impart a sweet flavour. 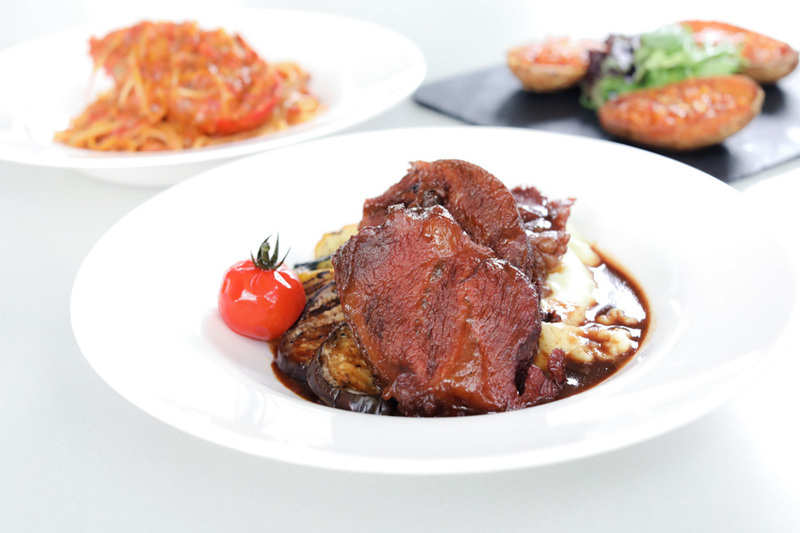 It is then slow-braised in red wine, adding a splash of Port wine just before serving. Served with roasted root vegetables and a mousseline of Idaho potatoes, the result is a tender piece of beef au jus that’s exquisitely infused with wine. A colossal 600g slab of premium Tomahawk Pork Rib that’s cooked to how it should be done is ecstasy to any meat lover. First sous vide then grilled, the two ‘giant’ slabs were tender, juicy, and lightly marinated to extract its natural flavours. Served with some roasted potatoes, seasonal vegetables and beef jus. There is also an accompanying sauce made with apples, with that fruitiness to enhance the taste of the ribs. Use it as a dip or pour over the slab to your heart’s delight. Inspired by the French Bouillabaisse, the Fisherman’s Stew is a medley of classic seafood delights such as lobster, scallops, squid, and mussels from Australia – one of the best in the world. 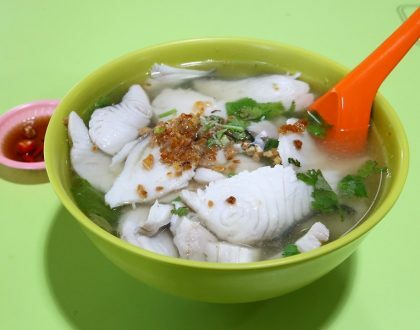 You may be surprised to see these ‘babies’ there, but what makes this extra special is the addition of slow-cooked tender baby abalones, a pleasant touch of Asian to the Western stew. All these are simmered together in tomato-and-shellfish-based stock (stewed with onions until they are very sweet and added with white wine), then served with garlic bread to mop up that delectable gravy. 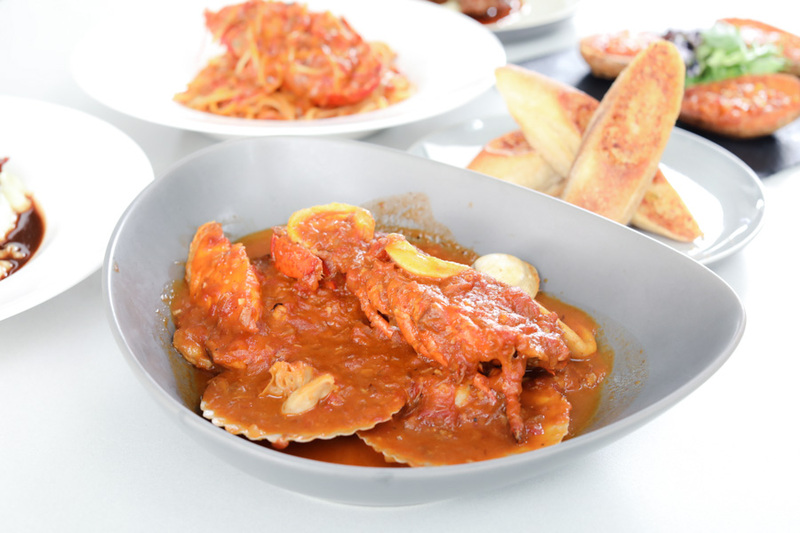 Singapore’s favourite chili crab comes in a different variant in this dish. If you have been a regular to Spuds & Aprons, you will definitely remember this starter of “Chilli Crab in a Tux” which makes its return – due to popular demand. 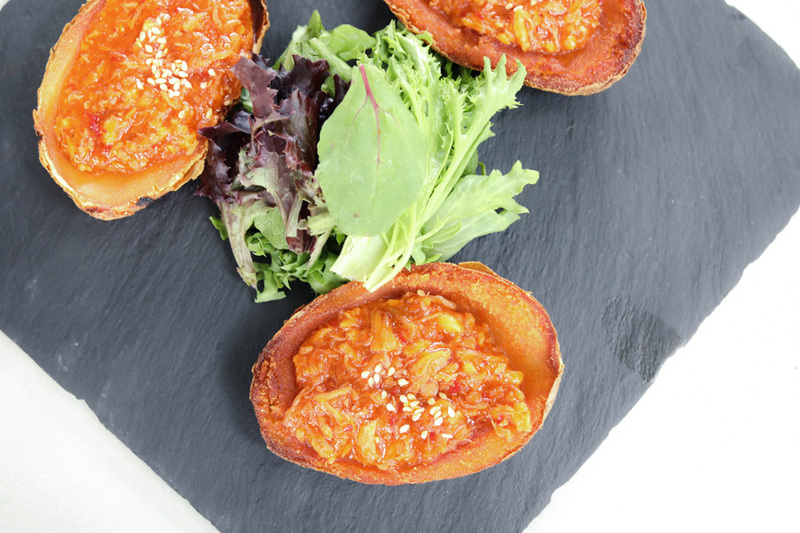 These Chili Crab Potato Skins are deep fried to a crisp and served with the popular Singapore Chilli Crab gravy, adding texture and crunch to each bite. Great choice as an appetiser to whet your appetite before the main event. Here’s something for non-meat eaters, a mushroom salad featuring not just 1, but 4 forest mushroom varieties: Porcini, Black, Button, and Portobello. Served with garden salad leaves with a balsamic reduction. My, the Portobello is cut thick you could bite into its succulence. 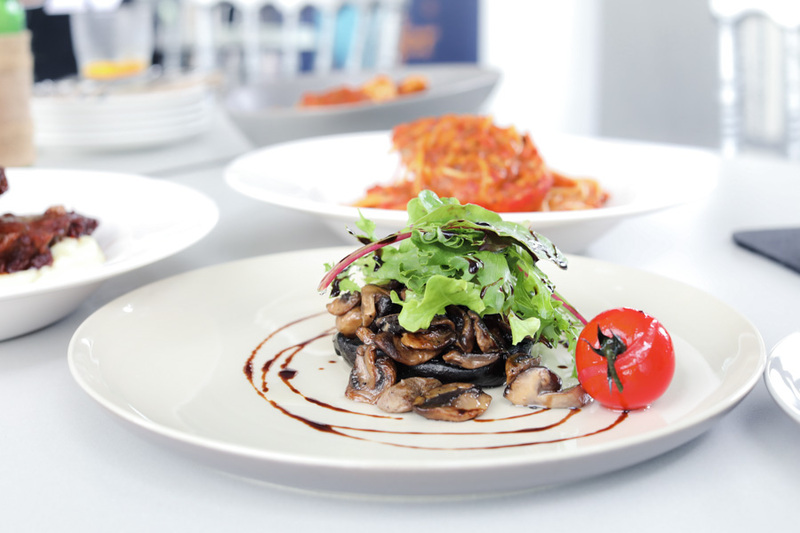 These earthy jewels are sautéed just right to bring out the umami flavours. A must-try in the menu as this is one of Chef Kenny’s personal favourite. The kitchen team pan-sears the duck (his favourite style of cooking duck) giving the meat a smoky, savoury and robust flavour. 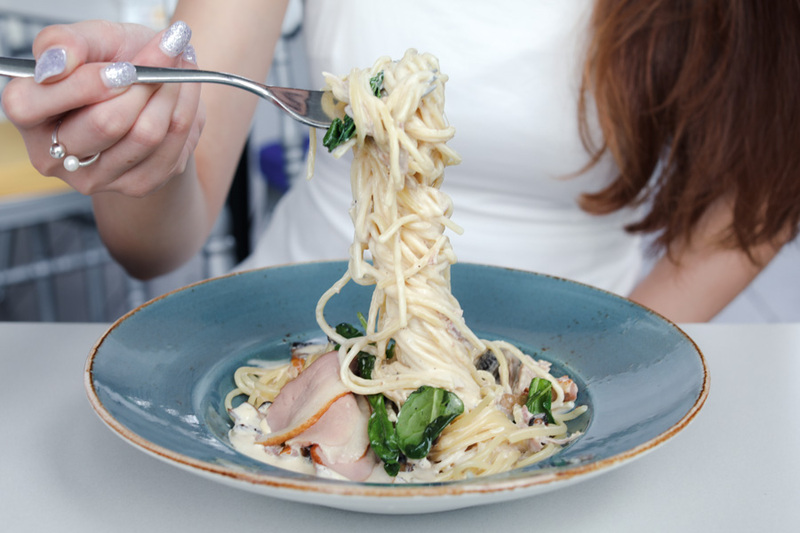 The duck is served over some creamy spaghetti with earthy mushrooms and fresh spinach to create this highly seasoned duck ragout. The idea of this dish actually came from the familiar carbonara. 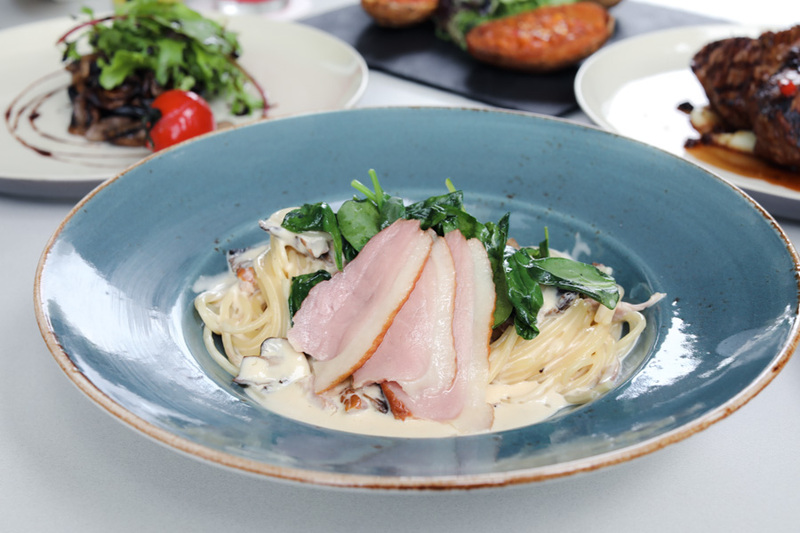 While the carbonara typically uses bacon which can be quite rich together with the cream, having smoked duck helps reduce that heaviness. 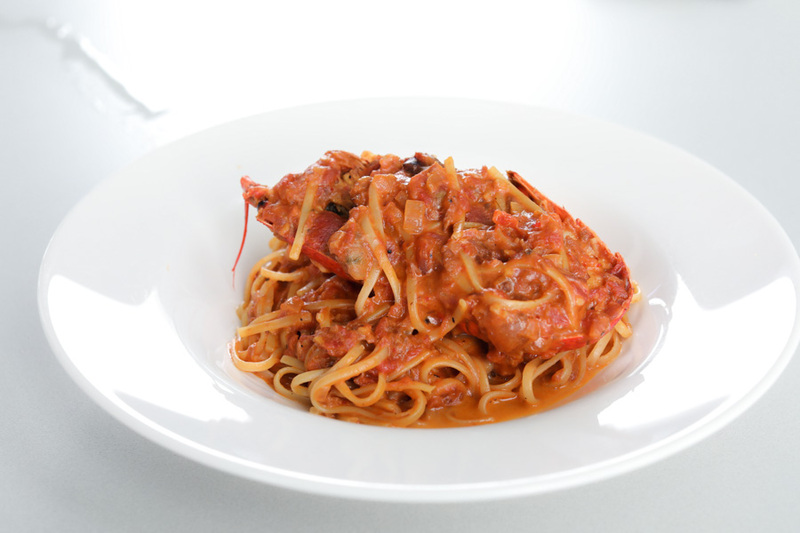 A dish of half spiny lobster and linguine in tomato sauce, the X factor lies in how the elements are prepared and cooked. 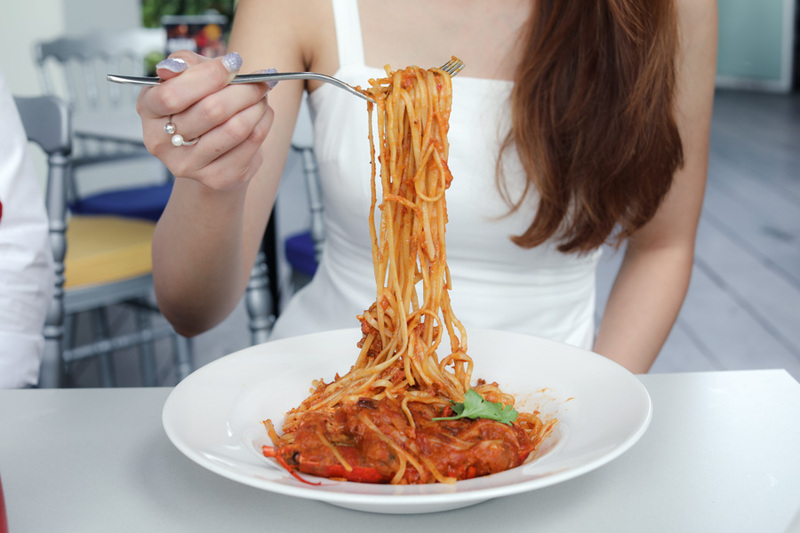 Perfectly al dente pasta, and just the right ratio and proportion of the ingredients. The name of this dessert alone may just bring on a smile. 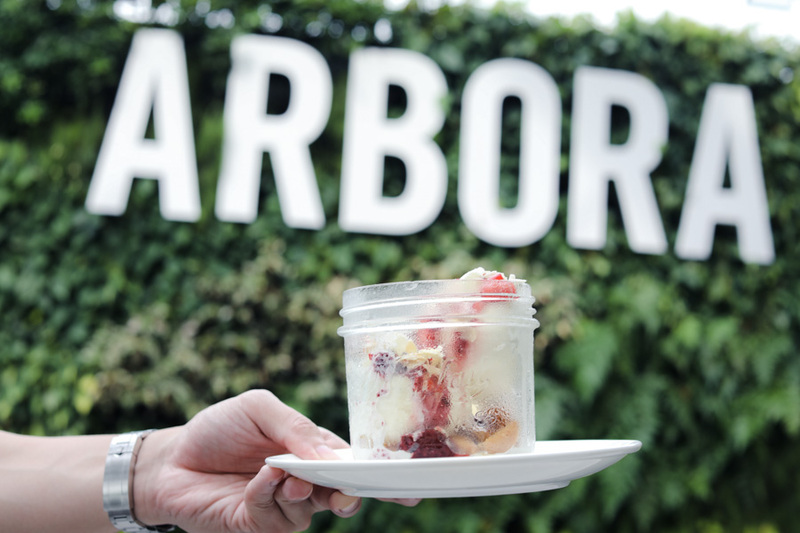 This Jar of Happiness combines the humble vanilla ice cream, made cheery with some warm berry compote. Add to the jar some shortbread, mixed berries and caramel sauce, and then playfully top with crunchy almond flakes. Now that’s happiness in a jar. 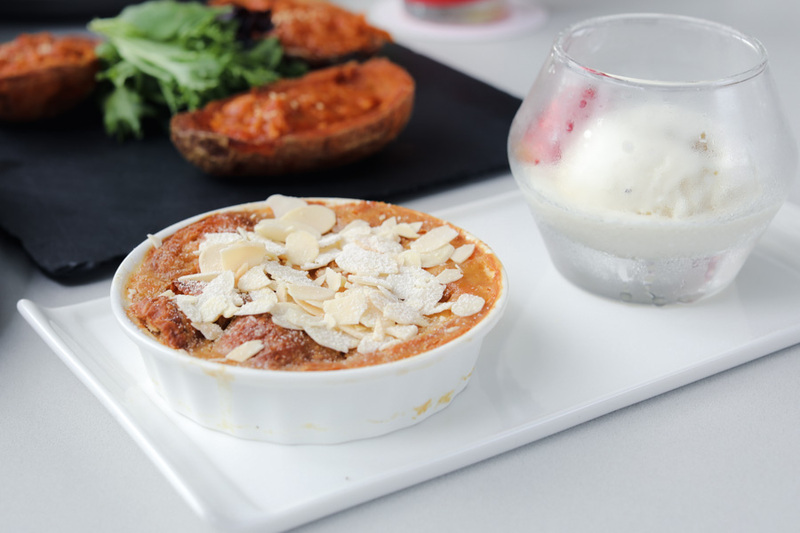 Leave room for this dessert, a croissant bread and butter pudding in a ramekin, filled generously with pieces of chempedak. The tropical fruit of Chempedak is seldom used in this British dessert, but adding the fruit gives it this unique taste with sticky texture and honeyed-flavour. Served with a scoop of vanilla ice cream on the side, topped with a slice of fresh strawberry, the cold ice cream and warmth of the dessert makes a good combination. A well-deserved ending to a satisfying meal. But wait, let’s look at the beverages. 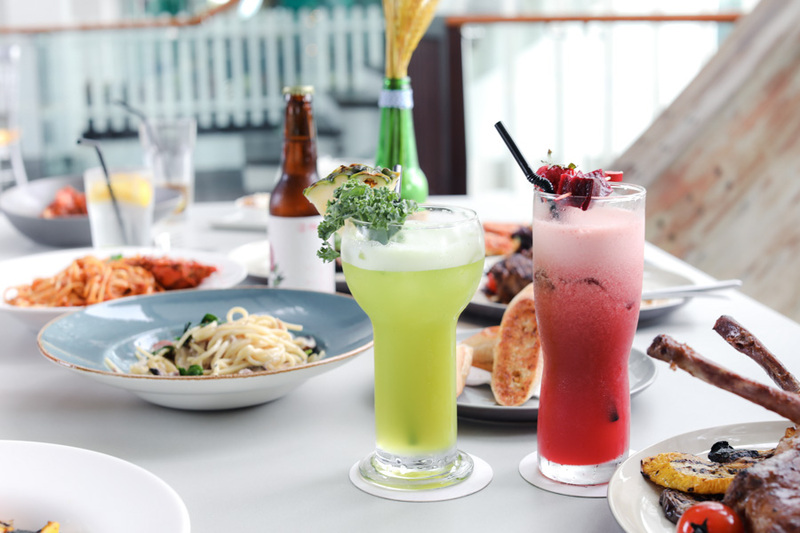 From fresh-pressed juices and craft beers to botanical-inspired cocktails, Arbora is an ideal place for health buffs, craft beer lovers and cocktail connoisseurs. The pressed juices are made-to-order and available in three variations, all made with locally sourced ingredients. Available juices include the Tropi-Kale ($12++) which features the popular superfood kale blended with a delicious mix of pineapple and green apple to add some sweetness and tartness to the drink; The AntiOxidant ($12++) to experience the multi-nutritional content of beetroot complement by a refreshing hint of orange zest to balance the earthy flavours; and cooling Sun-kissed Quencher (S$12++) served with fresh-cut watermelon cubes. The way the interior is designed allows the natural surroundings to blend in and get your attention. Wide and tall enough at 3 x 13 meters, this foliage wall doubles as an appealing photo backdrop for Instagram-loving diners. There’s enough space at Arbora to seat up to 160 guests: 40 indoors and 120 alfresco. You can reserve it for a private party, or even as a wedding venue. After all, there’s an interesting heart-shaped tree and a Bell of Happiness at the al fresco space adjacent to the sheltered dining area. The majestic views of the rainforest hillside, Harbourfront and Sentosa from its vantage point are a bonus. Perfect elements for a lovey-dovey themed event. 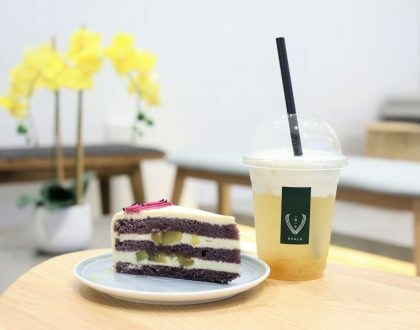 Sometimes we are just too caught up with work and other commitments, that we forget to give ourselves a good “treat” – in both sense of that word. 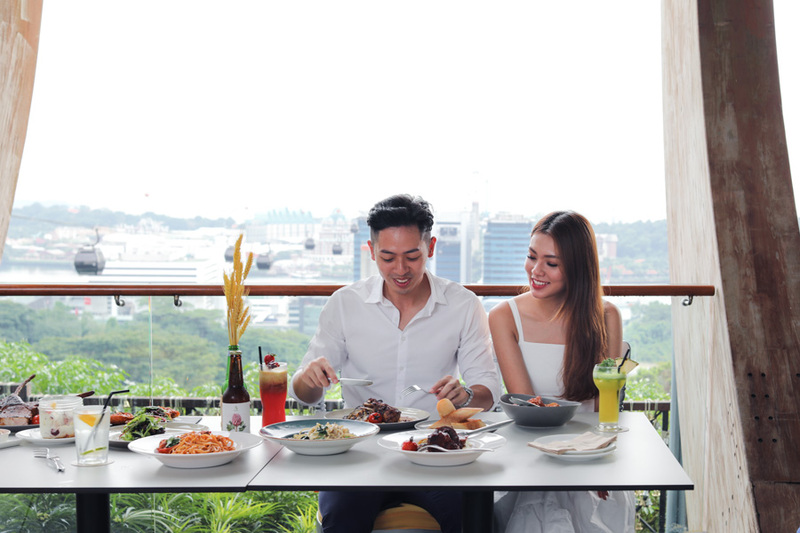 This place could be that personal sanctuary of tranquility where you can truly relax and destress in its garden-inspired ambiance, while enjoying the photo-perfect skyline backdrop over comfort food. * This entry is brought to you in partnership with One Faber Group.